Point2 Homes gives you far more than a simple list of houses for sale. Get instant access to a lot of relevant information about Ontario real estate, including property descriptions, virtual tours, maps and photos. The search results pages also have a wealth of information on Ontario, if you scroll all the way down. There are houses for sale in Ontario. 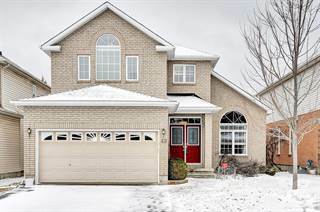 Searching homes for sale in Ontario has never been more convenient. With Point2 Homes, you can easily browse through Ontario single family homes for sale, townhomes, condos and commercial properties, and quickly get a general perspective of the real estate prices. Also, you’ll never miss a bargain if you filter listings based on house price drops in the past six months. 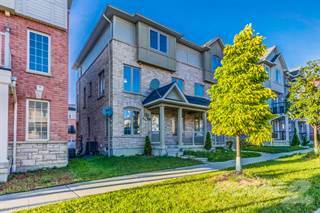 Use the map view to find Ontario homes and apartments for sale, based on amenities or city features that you may want close by. You can close in on a specific neighbourhood or area by simply drawing around them with the polygon or radius tools. Stay informed about the latest entries on the real estate market by saving your searches. This way, you get new listings in your inbox, daily or every week, based on your preferences. If you’d like to get in touch with a professional, agents are displayed next to their listings, and they’re easy to contact through the online forms. If you want more options, you can click the Tools tab and Find an Agent, and you’ll get a list of helpful and knowledgeable real estate agents in Ontario. Visit the Point2 Homes blog and you can find up to date expert advice on many markets throughout Canada, regular market reports, neighbourhood scoops in cities throughout the provinces, real estate deals and useful recommendations. The province shares its southern border with the United States (Minnesota, Michigan, Ohio, Pennsylvania, and New York). Ontario covers 1,076,395 square kilometres, about 15% of which is water in the form of lakes and rivers, with the province’s lake count being around 250,000. The province is bordered by Hudson Bay to the north and the Great Lakes to the south. Ontario’s population is almost 13 million people, making it the most populated province in the country. Its capital is Toronto, which is located in the southern portion, along the coast of Lake Ontario. Ontario is home to the nation’s capital, Ottawa, where the federal government resides. The province’s name comes from a First Nations term for Lake Ontario (“great lake” or “beautiful water”). Ontario is often divided into Northern Ontario and Southern Ontario, with significant differences between the two regions in terms of population, weather, and landscape. Manufacturing is one of Ontario’s largest industries, and the province is the country’s leader in this sector. Many large companies have headquarters or manufacturing divisions in and around Toronto. Products include food, motor vehicles, iron, steel, electrical appliances, machinery, chemicals, and paper. Ontario is home to what is known as the Golden Horseshoe region, which is the largest industrialized area in Canada. Agriculture is not as prominent as it once was in the province, but producers still farm fruit (including grapes for wine), tobacco, corn, soy, and alternative crops like nuts and herbs. Cattle and dairy farms are also common in the province. Toronto is a major financial services and banking industry hub and much of this is linked to other sectors such as information technology, which can be found in the cities surrounding Toronto. The federal government is also a big employer, particularly in the National Capital Region (Ottawa and its surrounding areas). Ontario has numerous provincial parks, which provide recreational opportunities such as hiking, fishing, camping, biking, and wildlife watching. These parks include, for example,Woodland Caribou Provincial Park, located near the Manitoba/Ontario border; Sleeping Giant Provincial Park, located near Thunder Bay, in the northern part of the province; Killarney Provincial Park, located near Sudbury; and Algonquin Provincial Park, located north of Toronto. The province also has six national parks: Bruce Peninsula, Georgian Bay Islands, Point Pelee, Pukaskwa, Rouge, and Thousand Islands. Historical sites in the province include Battle Hill in Southwest Middlesex, a battle site from the War of 1812; numerous forts (Fort William, Fort Malden, Fort St. Joseph, and Fort St. Pierre, for example), which were established by European settlers; a number of churches, such as Old Stone Church; and small museums and preserved properties such as Woodside, the childhood home of William Lyon Mackenzie King (the longest serving Prime Minister of Canada). Arts and culture activities can be found throughout the province, but especially in the more populated southern area. The Royal Ontario Museum features exhibits about the natural and social history of the province as well as art from around the world, while the Canadian War Museumfocuses on military history and the impact of war.Ontario is home to the Toronto Symphony Orchestra, the National Ballet, and the Canadian Opera Company. The Toronto Zoo and the Art Gallery of Ontario are also popular spots. Festivals include the Canada Day celebrations held in Ottawa each year, the Toronto International Film Festival, the Stratford Shakespeare Festival, and the International Food Festival. Toronto, with a population of over 2.6 million, is Ontario’s largest city as well as the province’s capital. The city is located in the southern part of the province, close to the Canada/United States border. It is home to many of the province’s largest companies, as well as numerous arts, cultural, and recreational activities/ events. Ottawa, the nation’s capital, has over 880,000 people and is located in the southeast area of the province, on the Ontario/ Quebec border. Mississauga, with over 710,000 people, is located southwest of Toronto. There are over 520,000 people in Brampton, which is located west of Toronto. Hamilton, with over 510,000 people, is located southwest of Toronto. The northern part of the province is less populated than the southern part, so there are fewer real estate options in this section. Most single-family homes are in rural areas on very large properties. There are also short-term rental options (cabins) in this part of the province. 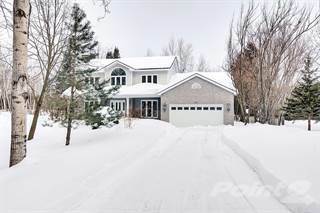 In the western section of Ontario, single-family homes are fairly affordable and are often on larger, more rural-style lots, with most including at least a single garage. Reasonably priced vacant lots and industrial commercial buildings are also available. Most of the province’s real estate can be found in the more populated cities in the south. Single-family homes in rural areas of this section are often on larger lots, and prices vary depending on whether the homes are older or newer builds. The capital city of Torontois teeming with real estate, but it can be pricier than what is found in smaller communities. Plenty of condos, older and newer single-family homes, and various commercial properties are available throughout the city and its surrounding areas. There are 73 school board districts in the province, which operate both English and French public schools. These schools follow a curriculum developed by the province, and some schools have both English and French classes for students. There are also independent schools (including boarding schools) in Ontario, most of which are Roman Catholic, and these schools operate under a separate school system. Twenty-one publicly funded universities operate in Ontario. Some examples include Carleton University, Brock University, McMaster University, Queen’s University, Ryerson University, the University of Toronto, and York University.Ontario also has 24 publicly funded colleges, including Niagara College, Humber College, Algonquin College, Northern College, and Cambrian College. Adult education classes and private specialty training are also available.